If you have a car that has been written off, or is damaged beyond repair and is taking up space in your garage, get rid of it fast. 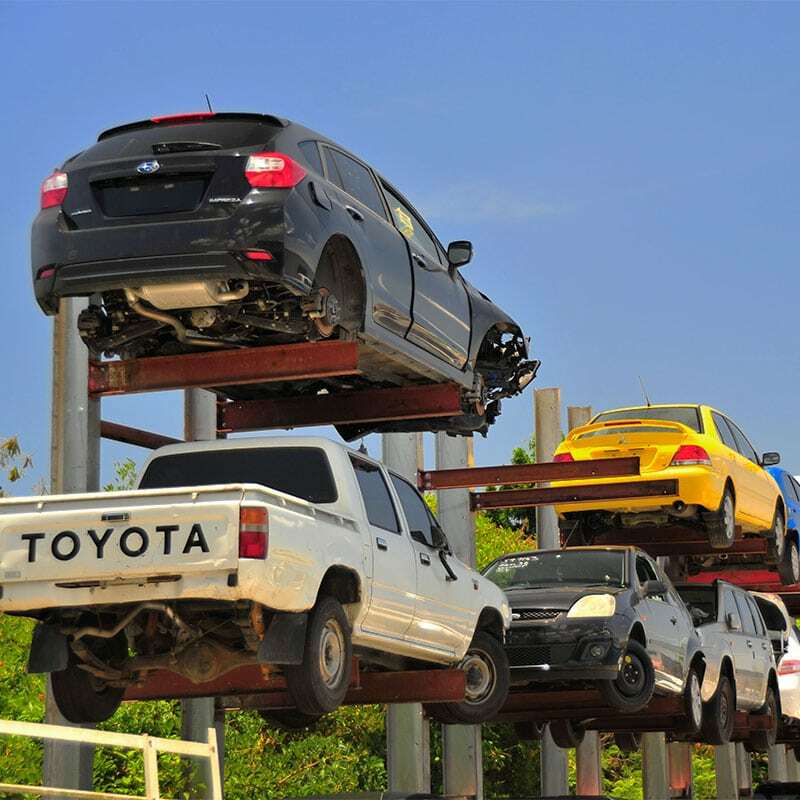 At Cars wrecker Auckland we buy any car for scrap, including wrecked cars, damaged, junk and/or non-running vehicles of any make, model and age. With three car wreckers across south Auckland: Otara, East Tamaki and Manukau, we offer a fast and free car wrecking service all the way to the resident of Auckland region. Car Wreckers South Auckland is situated in the heart of industrial suburb called Otara. We are specialized in wrecking cars and selling parts. We got all variety of cars including every type and model. The best thing about us you can move freely in our yard if you bring boots along with you. Kumail Auto Recyclers is the name growing very fast in Auckland southern suburbs. We provide best customer service, Cash for Car Auckland and wreckers parts at cheap and affordable prices. At Car Wreckers South Auckland we Offer. Best Quality Second Hand Car Parts. Scrap, Junk, Damaged & old we buy it all. Car Wreckers South Auckland is only a phone call away, Call Us Now and Get Free Quote. All Your Cash For Cars Services at one place, Keep in mind We come to you. All Makes & All Models – Pick Up Anywhere in Auckland. Car Wreckers South Auckland buy all makes and models. Not to mention, we also pay top dollar for cars and trucks of any mechanical condition including transmission problem cars. So it doesn’t matter whether it is Jeep or Suzuki, just give us a call and we will be there. Our fleet of trucks is on the road 7 days a week. Is your car damaged?. It really does not matter to us, old or new, damaged or not, good or bad. Ford bad transmission wrecking, BMW bad transmission wrecking and many more. we ensure you get a wide array of choices when you are shopping with us. If you find something which is out of stock, we are ready and willing to go the extra mile to find that part for you. If you’re a car owner, you will definitely understand the value of a good quality, used car part which delivers high performance is extremely cost-effective. To learn more about our services, or to request a quick quote for your car, contact Car Wreckers South Auckland at the number below. We are your removal company that services Manukau, Auckland, and the North Shore. Call us or complete our online form at the top right of this page for a cash quote for your car. Call 0800 70 70 99. This entry was posted in auto salvage and tagged 4wd wreckers south auckland, auto wrecking South Auckland, Best Wreckers South Auckland, car recycling south auckland, Car Wreckers sell parts South Auckland, cash for cars manukau, cash for unwanted cars, Commercial Wreckers South Auckland, European Wreckers South Auckland, Japanese Wreckers South Auckland, Korean Wreckers South Auckland, old cars removal, used car for cash today auckland, Van Wreckers South Auckland, wreckers Mangere, wreckers Manukau City, Wreckers Manurewa, Wreckers Otara, wreckers Papatoetoe on June 11, 2013 by Cars Wrecker.